I thought it fitting to share these fun brewery engagement photos as this Seattle couple just tied the knot this week! Bryce and Rachel met through a mutual friend while Bryce was through-hiking the Pacific Crest Trail. Yep, that’s right, the whole trail. With backpacking and a love of the mountains in common, these two strengthened their love while spending time in the beautiful Cascade mountains. They live in Ballard, a hip little portion of Seattle, and spend their free time touring the local breweries. 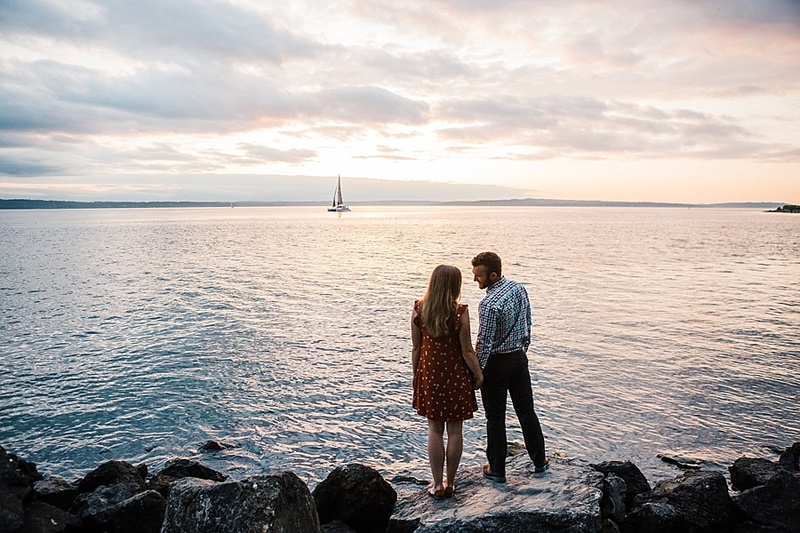 It was only fitting that we took their engagement photos at one of their favorite breweries, finishing the session with sunset at nearby Golden Gardens. These two have been a blast to work with from their urban engagement session to their mountain elopement. Thanks for taking me along on this journey with you, Bryce and Rachel, and congratulations!